I have to leave in about 5 minutes to drop my boyfriend off at the airport so no time for text today. Leaving you with these pictures of the pastel pink outfit I wore yesterday. Через 5 минут мне нужно выезжать, чтобы подвезти любимого до аэропорта, поэтому на текст сегодня нет времени. Оставляю вас с фотографиями вчерашнего конфетного образа. LOVE IT!! You look so chic and classy!! Pastels are always a good idea, no matter what's the time of the year! You look so gracious :) Beautiful outfit! Simply adorable El! I love the sugar pink jacket & pants. such an unexpected color palette for fall, you look beautiful! You look stunning, that blazer is so pretty! you look so beautiful! I love the blazer, it fits you perfect! Красивый образ и очень нежный! Elena, this is so so so beautiful! My favorite ever! so delicate adn lovely look ! Love this!! The colour is amazing. I love this color!! The outfit is perfect, and YOU are perfect as always.. My inspiration! That is such a lovely outfit. 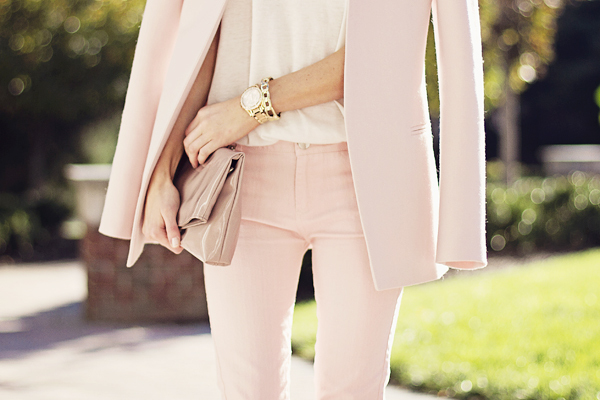 Love the colors & the blazer. My friend has the exact same blazer. Gorgeous! You look absolutely stunning wow these photos belong in a magazine! 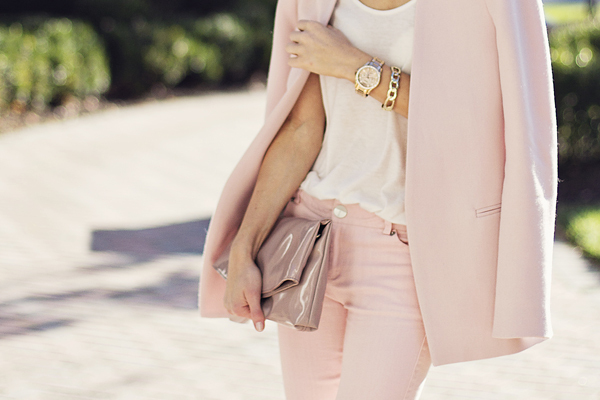 Such lovely blush tones in your look! Absolutely stunning outfit Elena, it's such a soft look but it works so well for fall. Волшебный образ, такой нежный, женственный, "припудренный"! :) Безумно понравилось цветовое сочетание! you look lovely El! That color really suits you! these photos are absolutely stunning! And so are you! What a classy look, i totally love it :) what kind of camera do you use btw? Hi! I just discovered your blog through Teen Vogue and I like like like it! You have a great style! Subscribed!